Armored Vehicles | VIP, Military, MedEvac -- all systems available. This AAP-54 Is produced in both 2 and 4 wheel drive models! 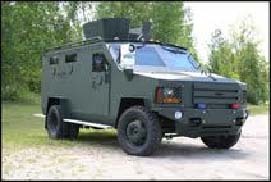 Designed for larger SWAT teams, with room for 15 fully equipped officers. Provides Life Saving armor in Barricaded subject callouts, high risk warrants and active shooter scenarios. 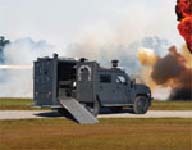 Optional Ram device allows personnel to breach doors, windows & fences to deliver non-lethal munitions. 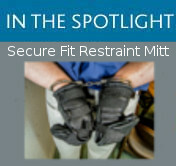 Designed for Private Security Contractors and Military personnel. 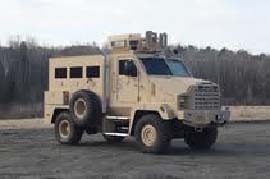 Fully armored with V-Hull Blast Shield to protect against grenades & IED attacks. Optional Blast Seats and Fire Suppression System protects vehicle occupants. Primary APC used by SWAT & SRT, Military Police and National Police & Security Forces. Provides lice saving armor in Barricaded Suspects call outs, high risk warrants and active shooter scenarios. Open floor plan allows for response and rescue of downed personnel. Designed for military personnel, the 4-door configuration allows for easy entry and egress. Military style turret can be configured for .50 Cal, Dillon Mini Guns & CROWS. V-Hull Blast Shield protects against grenades and IED attacks. All Military Spec Steel Construction. 7.62 AP/.50 Cal BMG Protection. V-Hull Design and Blast Seats Available. Commonality of parts with other AAP-54 Variants. Military tires & wheels provide improved off-road capabilities. Military style turret allows for maximum visibility and protection. Provides the protection of an armored AAP-54 with the functionality of a bomb disposal vehicle. Tactical robots are stored in the vehicle's elevated rear comprtment. Optional CBRNE and communications equipment designed to detect radiation and explosive gas. 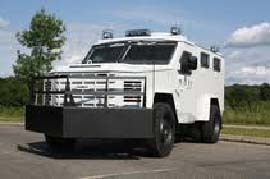 Designed to meet the needs of SWAT & Tactical EMS teams. Increased vehicle length provides room for (2) Litters to be secured to the floor. Vehicle has 2 on-board oxygen tanks and ample interior compartments for medical supplies and gear storage. 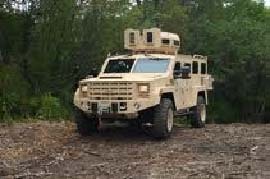 Designed for Dignitary and VIP Protection, this is a HD alternative to overweight and under-performing armored SUV s.
Fully constructed of armor plate with under body V-Hull Blast Shield and Blast Seats. Seats 6 with a center aisle for easy entry and egress. Designed for military personnel trained in tactical combat casualty care (TC3). Interior equipped with (4) litters, rolling seat and storage for medical gear. V-Hull Blast Shield, gun ports and rotating roof hatch also allow for tactical operations. Equipped with heavy-duty Hydraulic Ram to clear cars, barriers & any debris. Optional Long Range Acoustic Device (LRAD) designed for effective, non-lethal crowd dispersion. Increased vehicle length provides seating for up to (12) man team.